Sebakwe was born in Zimbabwe in the early 1980s. He was hand reared with 11 other elephants on a farm which was eventually expropriated due to the national land reform programme. This farm was located 12km east of Chinhoyi town. 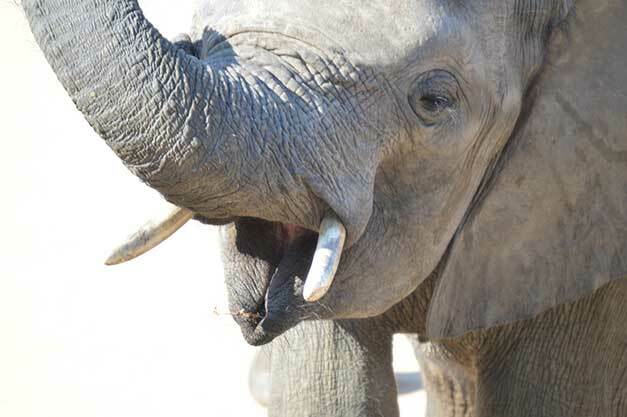 In 2002, Lente Roode heard about the elephants losing their home (and the imminent danger of them losing their lives too). There was no doubt in her mind that she needed to help to relocate the animals with their handlers – and quickly! An emergency operation was planned in record time to move 12 mammoth pachyderms by road to South Africa. 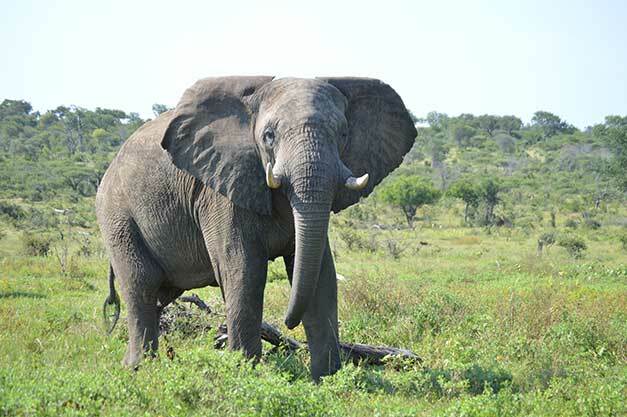 Sebakwe has become a very famous elephant, especially in South Africa. 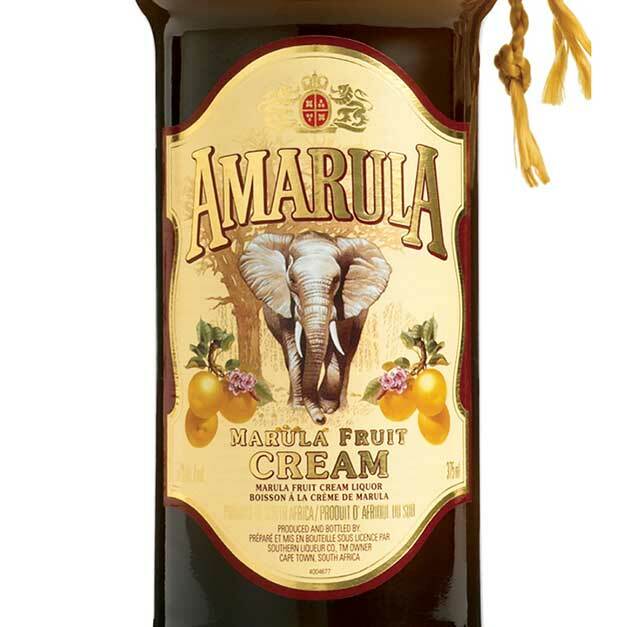 He has been the subject in several documentaries for Amarula (a world renowned South African company selling the local cream liqueur made with sugar, cream and the fruit of the African marula tree), and is in fact the elephant incorporated in their branding, occupying pride of place on the front of the Amarula bottle. 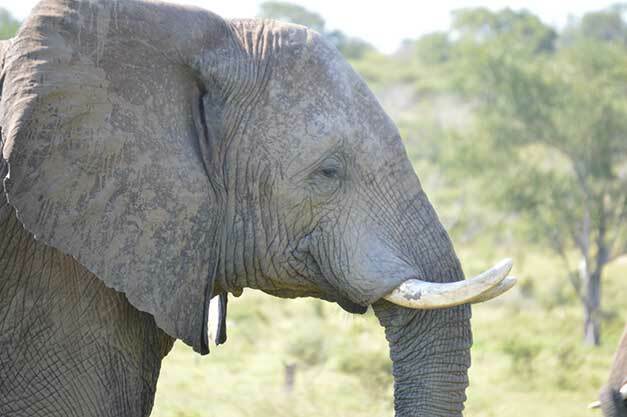 He is a very gentle male elephant, standing up to 3m tall and weighing about 4500 kgs (4½ tonnes). He likes to model in front of the camera, pausing and doing tricks in order to get treats. He is the dominant male in the Camp Jabulani elephant family (you will always find him at the back of the herd, as his status dictates), and has fathered of all the babies in the herd with the exception of Kumbura. He is a confident and reliable animal, and genuinely cares about the entire herd. It is clear that each one of them respects him. It is amazing how Sebakwe plays his role when the elephants are out in the bush feeding (aside from the couple of hours the elephants are on safari, split between morning and afternoon, the rest of their day is spent foraging in the wild). With bravado, he knocks down small trees, but doesn’t eat from them. Instead, the females will rush in with their calves, and avail themselves of the pickings from this strapping gent. He is the ultimate provider. Sebakwe has a particular fondness for, and is very good friends with, Setombe – the oldest female in the herd. 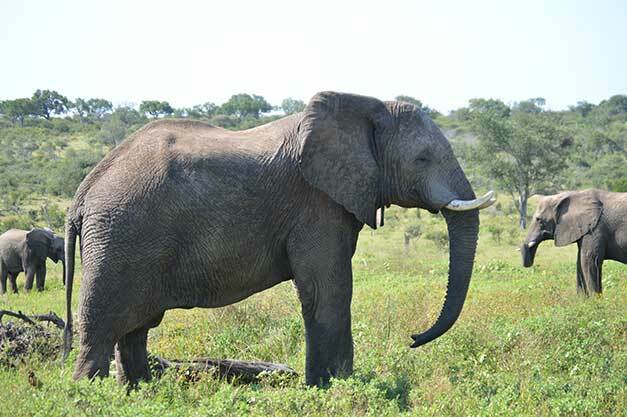 Sebakwe is the tallest male elephant in the herd, and is a bit fatter than the rest. He has a longer right tusk (which curves upwards) and a shorter left tusk. He also has a very large trunk and ears. We remember him well and the Amarula always reminds us of our lovely stay there. My husband and I rode Sebakwe with Foster. He is such a big, handsome guy. We bought Amarula just so we can have a reminder of him and how he kept stopping for snacks.